1. Wash the mushrooms and remove the stems. Sprinkle salt. 2. In a frying pan pour 1 tbsp olive oil and place the mushrooms for sauteing. Turn them and simmer until they get half cooked and the colour is light brown. 3. Remove from the pan and line them in a greased baking tray. 4. Spoon a litle sauce and cheese on them. Sprinkle dried oregano. 5. Place them in a pre-heated oven for 4-5 minutes, until the cheese melts. If you have a grill place the tray under the grill to get a light brown crust on top. 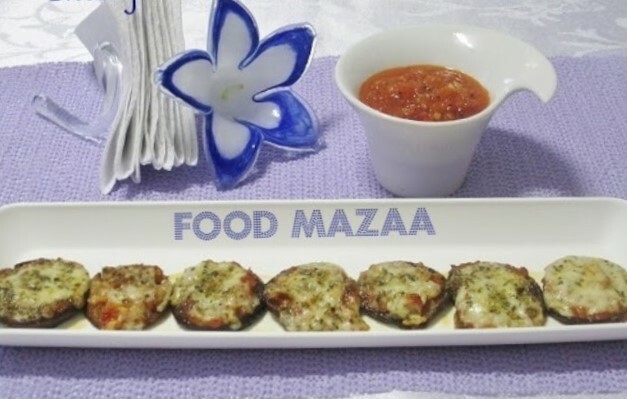 Yummy snacks with mushrooms. Lovely and healthy. This looks so yum,healthy and yummy,thanks for sharing. 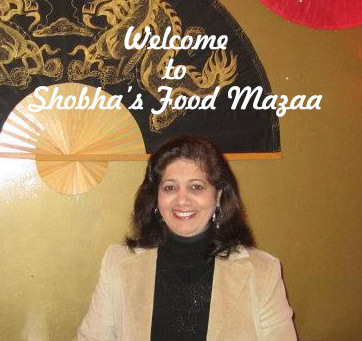 Shobha, looks so inviting and delicious! Looks like a perfect appetizer! Nice presentation! looks very healthy n delicious!! Please pass me that plate,love to finish it,thanks for sending. Love this delicious appetizer, thanks for sharing with Hearth and Soul blog hop.